How to build a simple VCL Application to view Reckon data in RAD Studio using the CData FireDAC Components for Reckon. 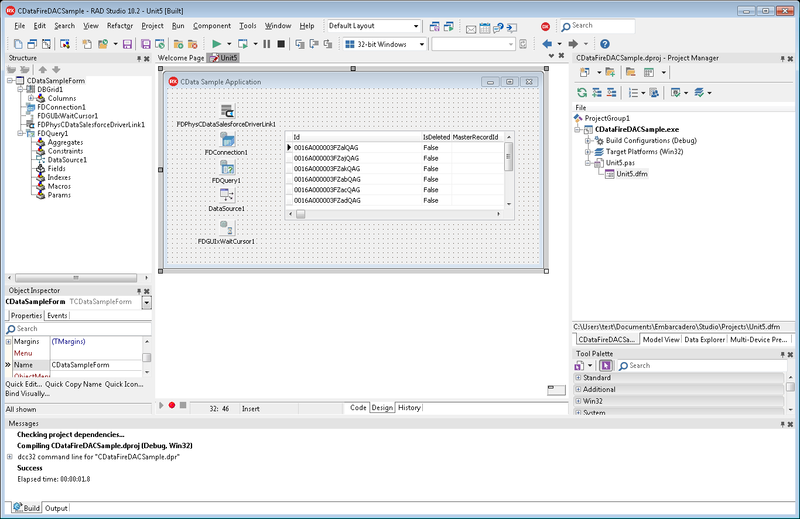 Embarcadero RAD Studio provides a development environment for Delphi and C++Builder applications. With the CData FireDAC Components for Reckon, you gain access to live Reckon data within RAD Studio, abstracting the data into tables, views, and stored procedures that can be used to retrieve and update Reckon data. 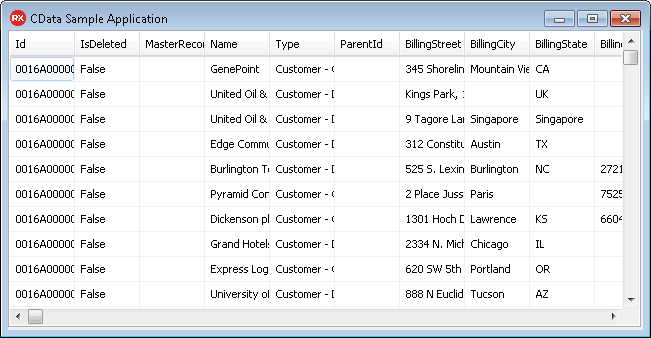 This article will walk through connecting to Reckon and creating a simple VCL application with the Form Designer. The following instructions show how to use the Form Designer to create a simple VCL Forms application that shows the basic FireDAC objects needed to connect to Reckon from any application. The following example populates a TDBGrid control. Drop a TFDPhysReckonDriverLink and TFDConnection object onto the form. Double-click the TFDConnection object. The FireDAC Connection Editor is displayed. 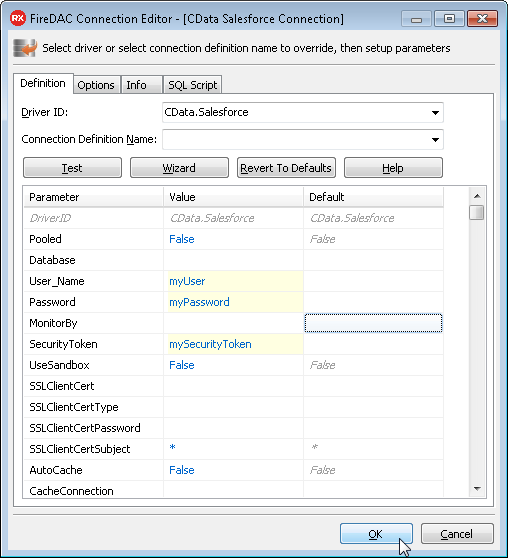 Select "CData.Reckon" in the DriverId menu and configure the connection properties. When you are connecting to a local Reckon instance, you do not need to set any connection properties. Requests to Reckon are made through the Remote Connector. The Remote Connector runs on the same machine as Reckon and accepts connections through a lightweight, embedded Web server. The server supports SSL/TLS, enabling users to connect securely from remote machines. The first time you connect to your company file, you will need to authorize the Remote Connector with Reckon. See the "Getting Started" chapter of the help documentation for a guide. Connection - Set this property to the TFDConnection object, if this object is not already specified. SQL - Click the button in the SQL property and enter a query. Active - Set this property to true. DataSet - In the menu for this property, select the name of the TFDQuery object. DataSource - Select the name of the TDataSource. Drop a TFDGUIxWaitCursor onto the form. This is required to avoid a run-time error. You now have an executable application that displays the results of the SQL Query set in the TFDQuery object.